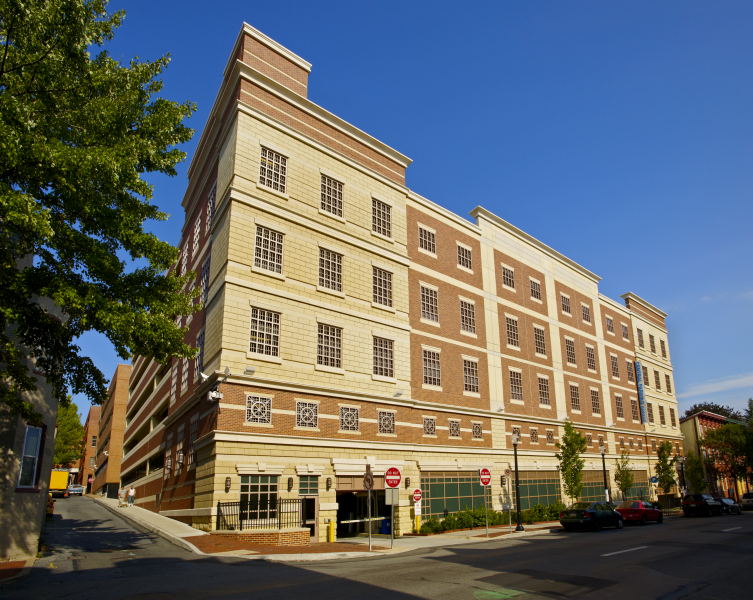 Greenfield Architects was selected to design this 151,200 square foot parking garage addition to Lancaster Newspaper’s existing parking garage in Lancaster, Pa. The precast concrete addition features an applied “historical” façade that blends with other structures in the downtown area. The addition is bounded on the north by Mifflin Street, on the west by South Prince Street, on the south by a residential building, and on the east by the existing garage. The garage includes 406 spaces on 7 levels. It is partially ventilated, and also includes a sprinkler system.